There is no waiting in lines for transportation that make frequent stops and there is no charge for excess baggage. Choose from a private sedan for up to three passengers, a private SUV for up to six, or why not really travel in style and opt for a private limousine for up to seven passengers comfortably? Or opt for the luxury van with room for up to 14 passengers. This is a great way to start your journey! Leaving your hotel, you'll be met by a representative outside of your hotel, at a predetermined time of your choosing. Pride is taken in delivering total client satisfaction through excellent service, professionalism and dedication. This service operates 24 hours 7 days a week to Newark (EWR), John F. Kennedy (JFK) or LaGuardia (LGA) Airport, with your choice of private sedan, SUV, limousine or luxury van pickup. Why not arrive at the airport in style? This is a great way to end your New York City stay! Please note: Services are only available for pickup in Manhattan, Brooklyn, Queens, Staten Island and the Bronx. 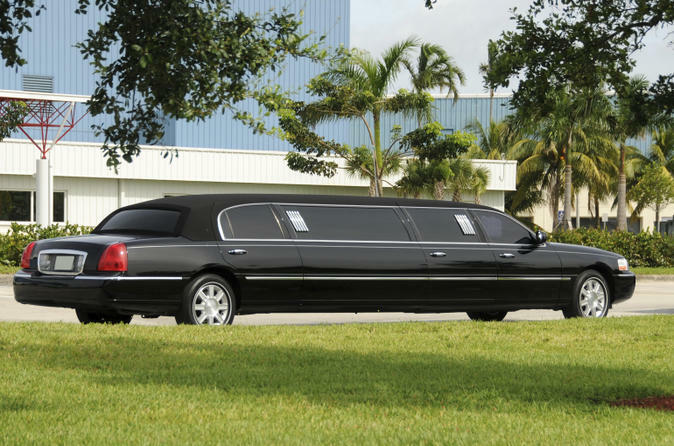 Price is per person, based on three passengers per sedan, six per sports utility vehicle or seven per limousine. 14-passenger van is priced per vehicle.